There are many beaches in Split Croatia, ranging from sandy to pebble ones. Passionate swimmers will definitely enjoy many beaches in Split, and fortunately there’s plenty to choose from. Most beaches near Split are especially popular for families with young children because of their easy approach. Most of the beaches are southeast of Split’s harbor all the way to Podstrana village, with plenty of family friendly accommodation nearby. Others are at the foot of Marjan hill, mostly rocky, bordered by a pine forest and with good local bus connections. If you are traveling with your pet you’ll be glad to know Split also offers one of the rare beaches where you can take your dog swimming. In nearly all Split beaches the sea water is very clean and calm, without tides, under water currents or high waves. The sea temperature is comfortably warm from mid May to mid October, but can get chilly in the spring. If you are interested in water quality on beaches in Croatia, Split included, Institute of Oceanography and Fisheries website gives you possibility to review the sea bathing quality assessment on all Split principal beaches. All you need to do is to add ‘Split’ or any other destination ‘Hvar’, ‘Makarska’, ‘Vis’ or ‘Trogir’ in search ‘By Name’ on the top of the page. The winds guarantee beautiful and stable weather, particularly Mistral (Croatian: Maestral). Starting from Bacvice beach to the east, in the length of 10 km, there are numerous beaches (sandy, gravel, rocky) that stretch one after another all the way to Podstrana Riviera. The most beaches are connected by a pedestrian path. All beaches are reachable driving along the D8 road, which extends along the sea coast. It’s the same road that leads to Omis and Makarska Rivieras. Split in July and August can be awfully hot and sticky particularly when you are waiting for your ferry in Split port. If you have a couple of hours the only relief would be a dip in the sea. Did you know there is a sandy beach just 6 minutes walk from the harbor? This is the only Split urban beach where you can find your place to cool off. Bacvice beach with shallow waters fills up on hot days but it’s a nearest place to survive on Split hot days. If you don’t like the crowded beaches, simply take a shower and a cold beer in one of the seashore cafes. After closing the bars in town, go to Bacvice to enjoy the nightlife under the stars. 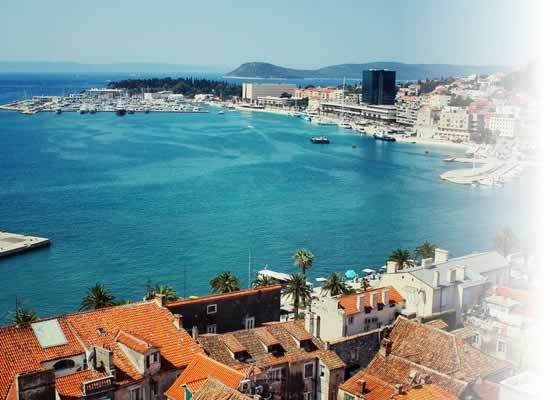 It’s the best place in Split for some enjoyment and drinks with your friends or family. You can also enjoy night swimming on this beach as the sea is warm and summer nights are rather warm. Join the ride in this party volkswagen and discover the best beaches in Split. Great sound system, fruits and refreshments, snorkeling gear, GoPro camera and more awaits you in this 5-hour tour of swimming, snorkeling, cliff jumping and relaxing on Split's best beaches! 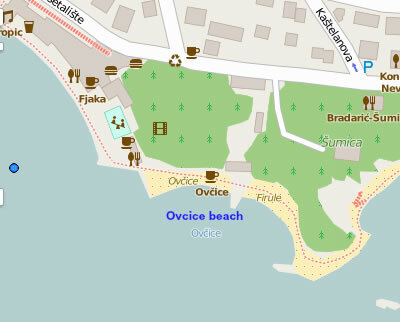 Strolling from Bacvice beach you will find more beaches like Ovcice beach: a small pebble beach with a playground for children including a trampoline. There are some nice restaurants nearby. Only 5 minutes further from this beach, there is another sandy beach Firule, a popular family friendly beach with shallow sea. Many locals in this Split’s district between Bacvice beach and Firule beach offer apartments and rooms. It’s considered to be one of the most popular Split destinations as it’s very close to Split’s highlight attractions. Another beach 15-20 minutes from Firule is Trstenik, a pebble or gravel beach, located in the equally named Split district. This district offers Radisson Blu Resort, an amazing luxurious Spa Center with its own hotel beach. 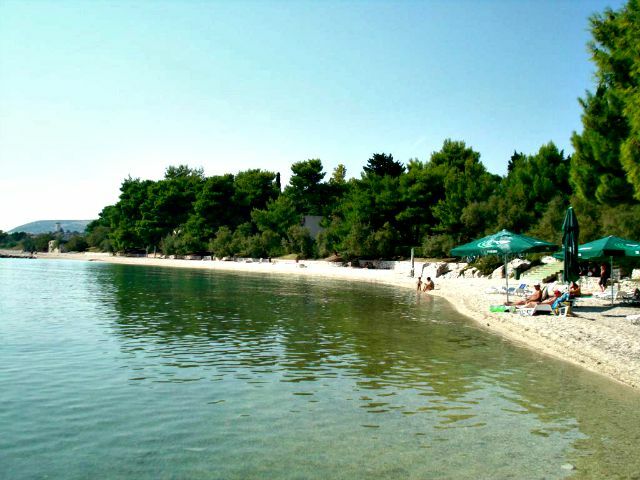 Znjan beach is a new entry among beaches in Split. In fact there is a stretch of almost 1 km long with several separated bays with pebble and rocky beaches, and one sandy beach. This group of beaches have recently become the most popular resort for families with children. The advantage of this beach is not only its clean and crystal sea but the fact it has enough parking spaces, so if you chose to visit it by car you can be sure to find a spot. If you keep moving to the east, always following the coastline, the next place is a small village Duilovo with a nice beach. Very close to this beach, there is a dog beach for all dogs owners. 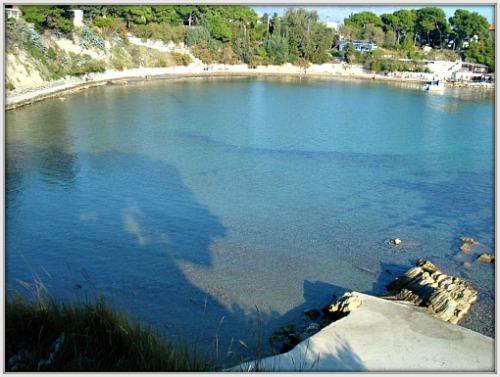 Further on and still only 7 km from Split center, a small settlement Stobrec (ancient Greek colony – Epition), located near the mouth of river Zrnovnica, offers some popular beaches in Split neighborhood. There are beaches for all tastes, sandy in the town’s center and rocky ones in the southwest, with some parts reserved for naturists (the wild one). The less frequented and crowded beaches are located on both sides of Marjan hill, the symbol of Split. In the west part of Split Riva promenade, on the southern slopes of Marjan forest hill, you can enjoy a few fantastic beaches. The first one is Jezinac beach, in Meje, an elite part of city that is quite isolated from city noise, only 2 miles from the old Split center. There is both a pebble and concrete part with a pleasant pine wood shade around. It’s located in elite zone with some nearby luxury accommodations. Only few minutes from this beach, there is another nice pebble beach called Kastelet or Obojana Svjetlost (colored light), a popular romantic/lovers place (as it was when I was younger). Perfect tour for beginners who want to enjoy a simple and relaxing adventure. 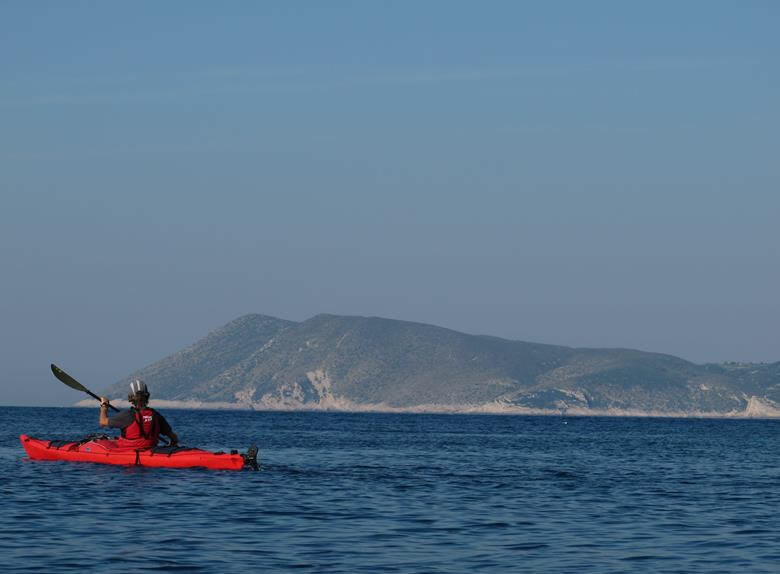 Take a 4-hour sea kayaking tour around Marjan Hill, enjoy beautiful nature, and discover secluded bays and fantastic beaches. The name ‘Colored lights’ refers to light show in the night as Kastelet beach has become another popular summer night parties location. In a series of nice beaches on the south side of Marjan hill, Kasjuni beach is one of most beautiful with a rich pine forest. In this bay you can find all kinds of beaches, partly pebble, rocky and even small sandy beach. All beaches have a wide parking place and, believe it or not, even in the highest season you can easily find a place. This beach is located on the northern side of Marjan Hill. It’s a popular local people’s beach. It’s a concrete beach but entrance to the sea is pebble or sand, surrounded by a thick pine forest. It’s also a family friendly beach with playground facilities for tennis, football, and other sports. It’s also one of my favorite bicycle paths. Beaches In Split – How To Get There? Split town boasts about having good local bus network that covers all destinations within 4 bus zones. On my Split city map page you can find more info that will help you moving around the city. As I’ve already explained you can reach some beaches in Split just walking. 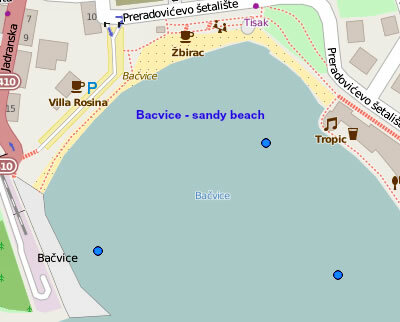 Almost all southeast beaches in Split like Bacvice, Ovcice and Firula are easily reachable on foot. From the old town you can get to Bacvice beach in 10 to 15 minutes. If you open this Split buses lines map you will see all bus lines inside the Split city. All buses are zone 1 and ticket price is 11 KN (1, 45 € (euro) or 1,97 $ (doll). Line N° 8 – Žnjan – Tržnica – Zvončac – Tržnica – Žnjan (take this bus from Trznica (Green Market opposite Silver Gate) bus stop. This is a circular route, and it doesn’t matter in which direction you go, you will end up in Znjan. It departs 2-3 times per hour from 5:30 to 22:30. From last stop in Znjan you have to walk for 10 minutes to reach the beach area. Line N° 15 Duilovo-Žnjan-Tr.luka-Duilovo. This bus stops much closer to the Znjan beach. Ask the driver for more info. St. Frane (Saint Francis) bus stop is on the west end of the Riva promenade waterfront. It leaves once every hour from 9:30 to 22:30 everyday. Ticket price is 11 KN and you can buy it from the driver (be sure to have an exact amount on you, drivers often don’t have enough change). Bus 21 has a stop at the entrance of Kasuni beach. Podstrana is a small settlement only 7 km south of Split hosting several gravel beaches with a good access to the sea. The beaches in Podstrana stretch over 6 km with many small family hotels and apartments. My images should give you a glimpse in my suggested three best known beaches! Podstrana beaches have become very popular beaches in Split, first of all because they are easily accessible by plenty of daily buses from Split. This is your new view! This luxury beach house is great for entire families, or a couple of friends wanting privacy and style. If you decide to stay in one of Podstrana hotels and you’re traveling by car, take my advice, leave your car in Podstrana and take the bus into Split in order to avoid the parking jams. One of the best known beaches is 5 stars hotel complex Le Meridien Lav beach, considered one of the best family hotels in Croatia. In case you didn’t know, Slatina, a small village on the north side of the Ciovo island, belongs to the city of Split. It has become a popular weekend getaway place for many Splicani (name for Split inhabitants). 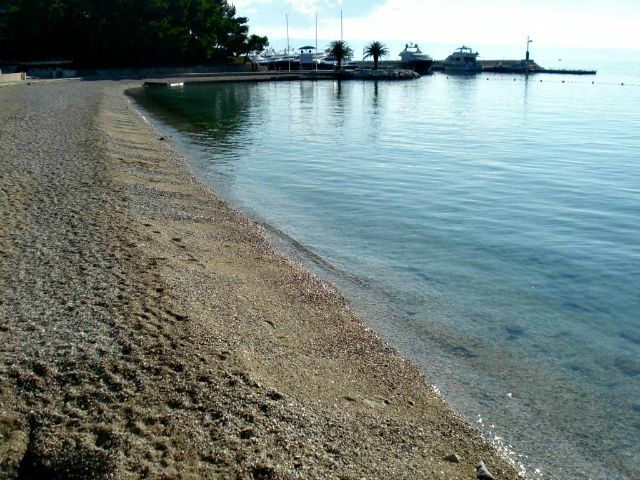 Slatina or Slatine is a good alternative among beaches in Split. It’s connected with Trogir and Split by city and intercity bus links. I recommend to take a summer boat connection from Split run by small shipping company, Bura. Alternatively you can book many different daily tours from Split that will take you to Ciovo island. Traditional food, a glass of local wine, couple of candles and a stunning sunset by the beach. Surprise your loved one and enjoy a perfect evening on Adriatic's top getaway island Ciovo. 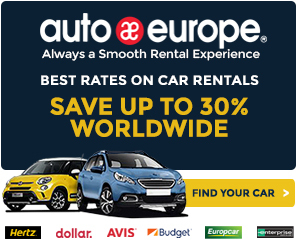 You can also find a lot of nice and cheap accommodation in Slatina for your summer holidays. This is such a nice and quiet place, very near the Split city, and you should definitely think about this option! If you are impatient and simply can’t wait to take a bath, the nearest beach is Resnik, just 1 km from Split airport. This beach makes the part of hotel complex Resnik, Split airport and Kastel Stafilic. It’s ideal for families with children, and it’s also covered with frequent bus connections to Split city. I hope my guide to Split beaches gave you a nice overview of the choices, so go ahead and take your pick!